Attached the Thousand Oaks Optical Solar Filter to the 12" telescope. Prepped the D7200 DSLR for prime focus imaging. 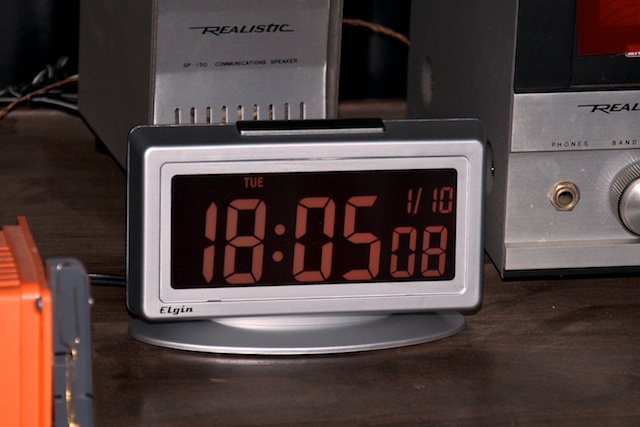 1325 MST: LX600 ON, StarLock OFF, High Precision OFF. Did a GOTO the "Sun as Asteroid". 1327 MST: viewed the Sun, 102X. 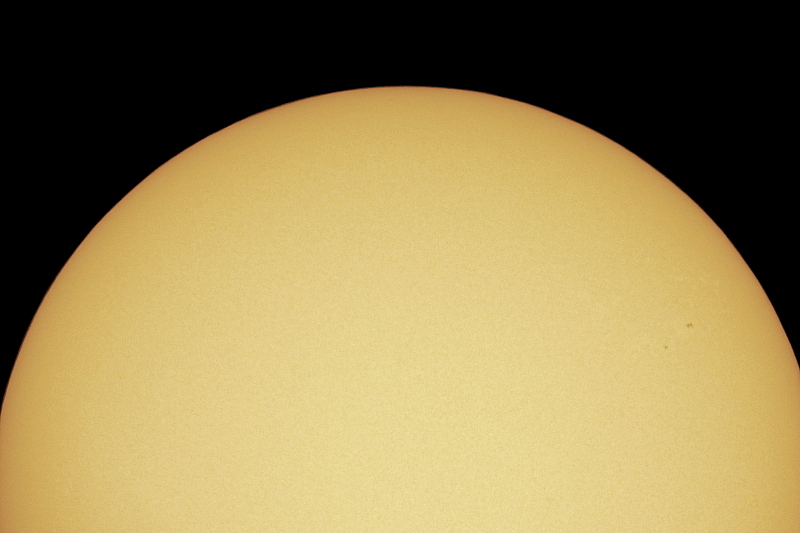 Two small sunspots were visible. 1335 MST: ready for the HST transit. 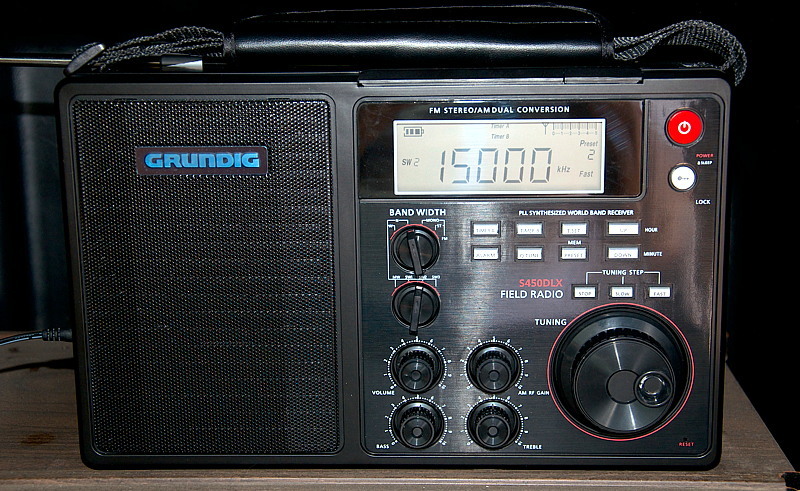 1348 MST: Began monitoring time signals from radio station WWV on the observatory shortwave radio. SYNCed the observatory clock to WWV. 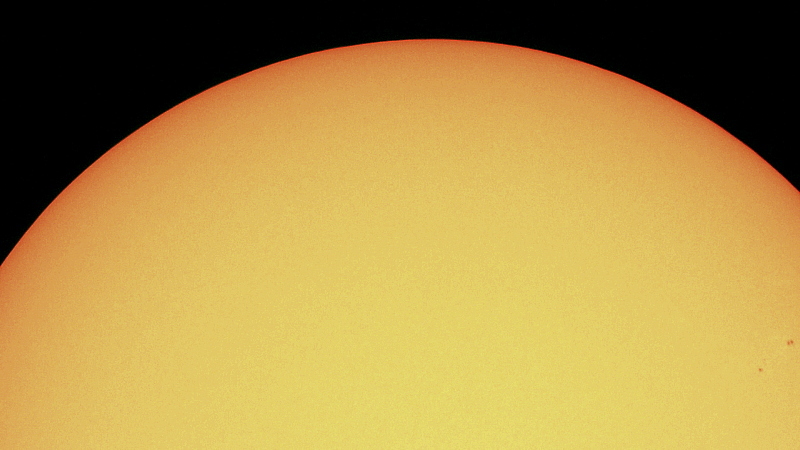 The next HST-Sun transit visible from Cassiopeia Observatory will be Monday morning, 24 October 2016. 2045 MST: LX600 ON, StarLock OFF, High Precision OFF. This would be a short session due to the wind. 2052 MST: slewed to the Andromeda Galaxy (M31). 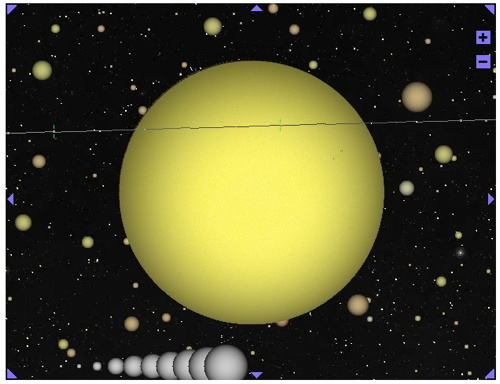 Began trying to observe individual stars in this galaxy, 2.5 million Light-years away from Cassiopeia Observatory. I used a recent blog article at Sky and Telescope for a chart of stars. 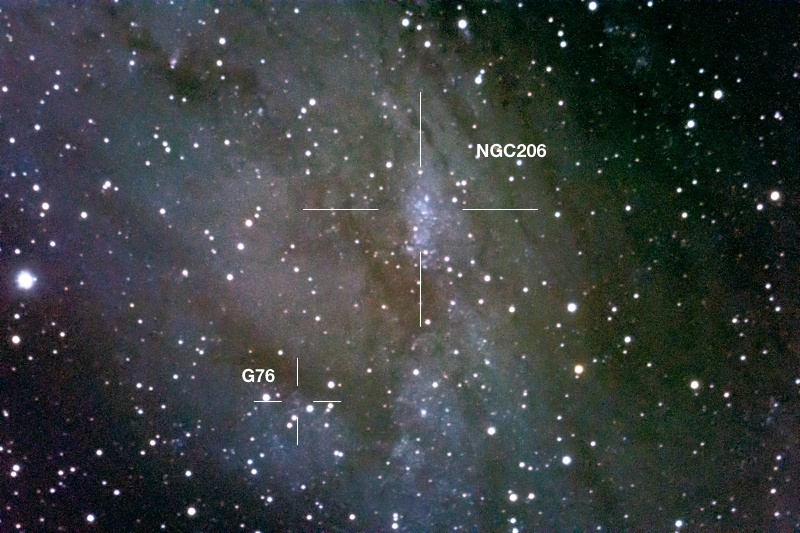 First, I located the NGC206 star cloud (which I recently imaged). It was easily seen at 102X (2" 24mm UWA eyepiece). Then switched to 271X (2" 9mm 100° eyepiece) to try for the very faint stars. NGC206 itself was faintly visible at 271X; the best view of the star cloud was using averted vision. Then began comparing the view in the eyepiece to that in the labeled photograph from the article. I started with the stars marked with the triangle. Two stars were easy: Magnitude +13.1 and +14.8. The third star in the triangle was also easy. As my eye dark adaptation continued I began searching for the fainter stars. I began with the Mag +15.5 star near the bottom of NGC206. Within a few minutes I was able to see it. That was followed by the three close stars: Mag +15.3, +15.7, and intermittently the Mag +16.2 star! I then searched for and saw the two remaining stars, both Mag +16.0. I returned to the triangle area and picked up the Mag +15.8 star there. Switched back to the 24mm eyepiece (102X). I could easily see the Mag +13.1 and +14.8 stars in the triangle as well as the Mag +15.5 and +15.3 stars at the bottom of NGC206. This was an exciting experience. To be able to see individual stars in the Andromeda Galaxy was awesome! I have previously viewed the G76 globular cluster in the Andromeda Galaxy with the 8" and 12" telescopes, but it just appeared as a "fuzzy star". The Mag +15 and +16 stars seen this night were obviously single stars in my eyepiece. So cool! Comments are welcome using Email. Twitter users can use the button below to tweet this report to your followers. Thanks.